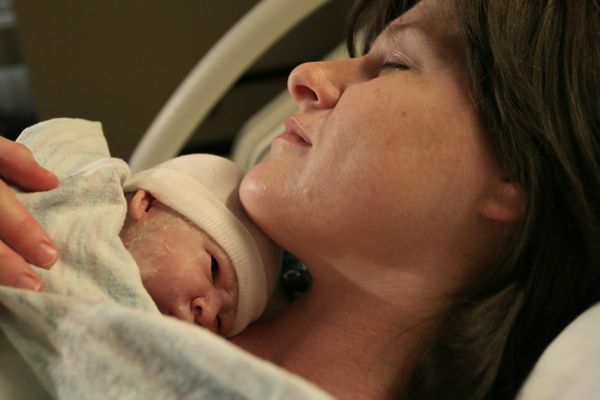 Eleanor Claire Mauter, “Ellie”, was born on May 2, 2010 at 1:27PM. She is 5lbs 8oz and 19 inches long. Mommy and Ellie are doing great! She’s beautiful!!!!!!!!!!!!!! I absolutely love the name!! Congratulations. Congrats! What a tiny little peanut. Ellie has a Janie nose! Congratulations you guys! She is beautiful. I look forward to meeting her. Call me if you need me. Little bird’s already got its eyes open. Congratulations! Welcome to the world, Ellie! Congratulations!!! Ellie and Mommy both look beautiful!!! Wow- congratulations! I was wondering why you weren’t at church today 🙂 She’s beautiful! And two girls! It’s the best! Congratulations! I just voted that you will be having a girl! Congrats! Mom and daughter both look beautiful. She is gorgeous! Praying she gets to go home very soon! Janie looks great! Congratulations to you all!